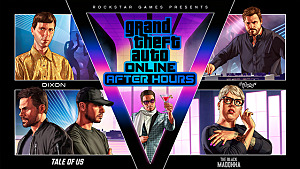 When Did GTA Become Less Crime-Time and a More Fun-Time? Grand Theft Auto's predominant game mechanic was putting itself in the truest form of street level crime in order to pursue an objective based gameplay style to achieve your goals. 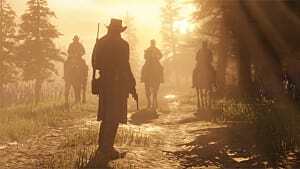 Throughout several years in the industry, Rockstar Games has taken this subject of crime very seriously, with basic comedic undertones at times in order to balance the reality in violence and chaos with the basic truth; it's enjoyable to play the bad guy sometimes. The main plot of GTA is true to this art form (minus the alien encounters whilst high, don't do drugs kids!). However, it's within its vast multiplayer experience where participating in a Tron-like light-cycle race is odd for GTA to implement. 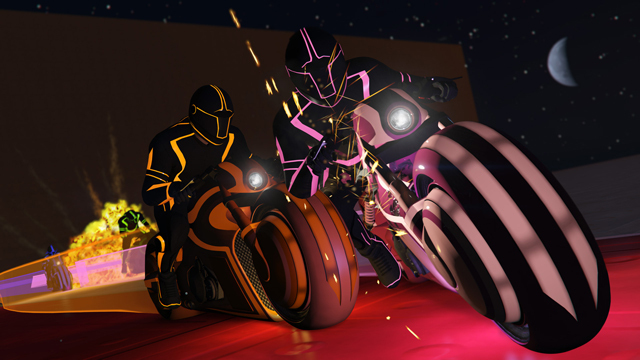 GTA gives players the opportunity to fulfill their past dream of wasting Clu, a villain with the Tron universe, in the form of their friends who dare challenge them. 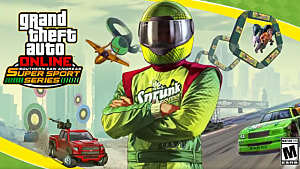 However, in the newest installment, Grand Theft Auto V, it is difficult to take heists and all around multiplayer content seriously when it is more entertaining to find several players to participate in a stunt race (please join in my hot wheels racing adventure). 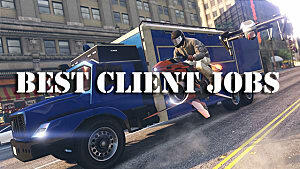 Although it is not a bad direction GTA is heading. 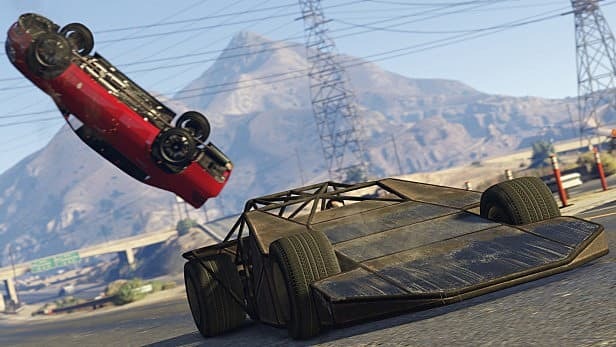 Many players, including myself, enjoy and love the new additions, including a special vehicle -- the BF ramp buggy -- which flips oncoming cars as if you were in the Fast and Furious 7 movie. 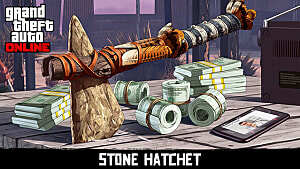 Over years, this is not what would have been expected to be included in their corrupt and chaotic franchise, but no complaints are being made about these exciting and captivating new modes, vehicles, and weapons. The expanse of Grand Theft Auto allows new incoming players to be satisfied with more captivating gameplay with these recent expansions. 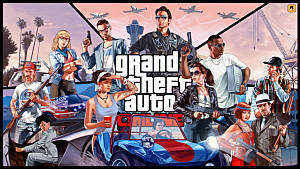 Will GTA start to stem away from its usual modes to broaden horizons outside of multiplayer, and obviously create a more entertaining experience that could boost the replayability of the franchise? 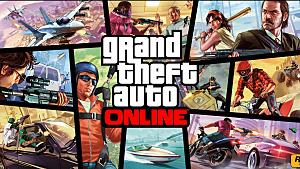 GTA continues to expand its horizons online, and expand its field in criminality -- I just hope Trevor doesn't get his hands on these fully upgraded and entirely dangerous add-ons, the citizens of Los Santos won't be pleased. What do you think? Is GTA trying to break away from its standard of gaming to create a more entertaining experience? Is it better to keep core aspects of criminality or expand and make a more captivating experience, and is it working?